I think corn is officially done at our farmer’s market. It’s sad in a way as nothing screams summer like great tomatoes and really good corn. I loaded up pretty much every weekend, when I could, and brought the corn home. We would have a couple of ears for dinner, and I would shave the rest down to save the kernels for later use this winter. As I was recently planning dinner, an activity that I seem the only one to be able to manage, I decided to use up some of those fresh kernels and come up with a fried bacon and corn side dish. This southern style dish is sure to please anyone and it was a great side dish and super easy to make. Start by cooking your bacon, and cook until it is crisp. 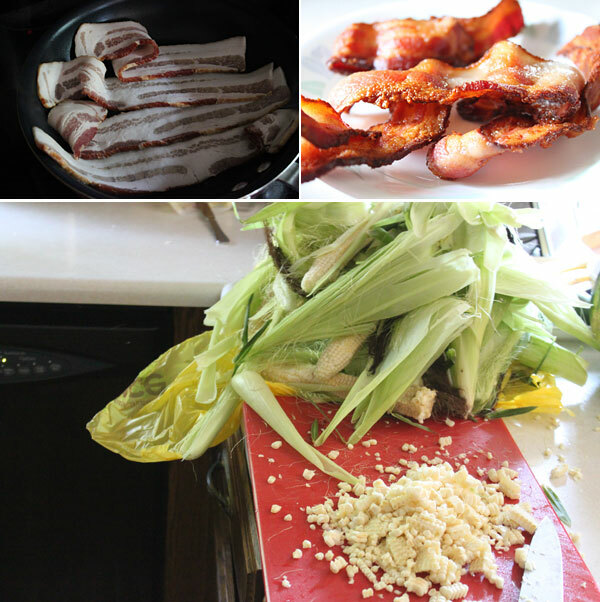 Remove the bacon onto a paper lined plate, and reserve about 2 tablespoons of the bacon fat. Return the skillet on medium-low heat and add in the corn. Stir, and cook the corn for a few minutes, continuing to stir to warm the corn through. Season with a generous pinch of salt and cracked black pepper. Once the corn has softened a bit, add in the milk, stir again to warm the milk through. Add in the chopped bacon, and give that a stir. 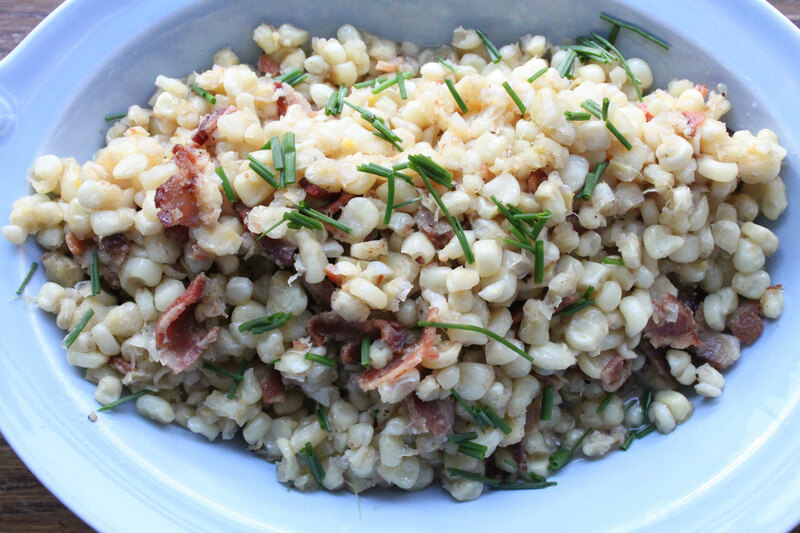 Place the corn mixture into a serving dish and garnish with chopped chives. Get ready to dig in. The end result is a slightly creamy corn with a great smoky flavor from the bacon. It’s a great use of that last of the summertime corn and is a perfect side dish, or heck even a main dish for that matter. Hope you enjoy!